Considering purchasing the American DJ Mega Bar 50? Have questions? Ask people who've recently bought one. Do you own the American DJ Mega Bar 50? Why not write a review based on your experience with it. Lightweight, simple to use & effective room colour filler. 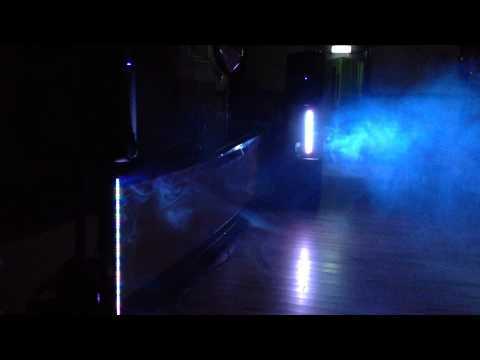 Easy & quick set up, Very bright used in large function rooms, church & school halls. Adaptable to size of set up, mounted vertically onto speaker poles or stands, used tie wraps at first as light weight but now used chauvet g clamps for ease. Look good either dmx slave mode or running individual patterns. Superb light used to uplight my booth. mega bright and never missed a beat in 7 yrs. Only a little bar but lights up walls and front panels a treat! bought 2 of them and have never regretted it! Very bright and awesome for the price! Really powerful at low price!! 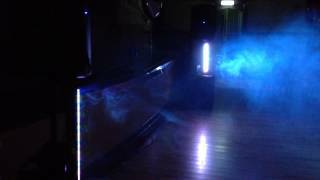 I bought x2 mega bars from DJ KIT around 8 months ago, i use 2 bars behind me equinox screen, they are really bright and they built in effects are awesome, i put them on AUTO mode on every disco and the colour mixing is really good, well worth they money!! AWESOME product. Outstandingly bright with a wicked strobe effect. Turns any ordinary hall into a club. Works extremely well when synced with other American DJ mega bars in slave mode. Would definitely recommend this product to anyone: beginner or pro. 5 stars for this lighting fixture.. its really bright.. the features are great.. and its a fair price.. good costumer service as allways from dj kit and lowest price too.. WOULD RECOMMEND !! Seen a video for American DJ Mega Bar 50 online or have you own video? Check out American DJ Mega Bar 50 on DJkit.com!